A few years ago our home was nearly destroyed. A local utility company had a pump malfunction resulting in more than half a million gallons flooding the basement, which housed the Norrell Photography portrait studio. It took quite awhile, but eventually the entire basement was stripped down to the concrete floor and wall studs. I had some carpentry skills from years ago, but I learned much more. Eventually the walls were rebuilt and then the floor and the finish work. 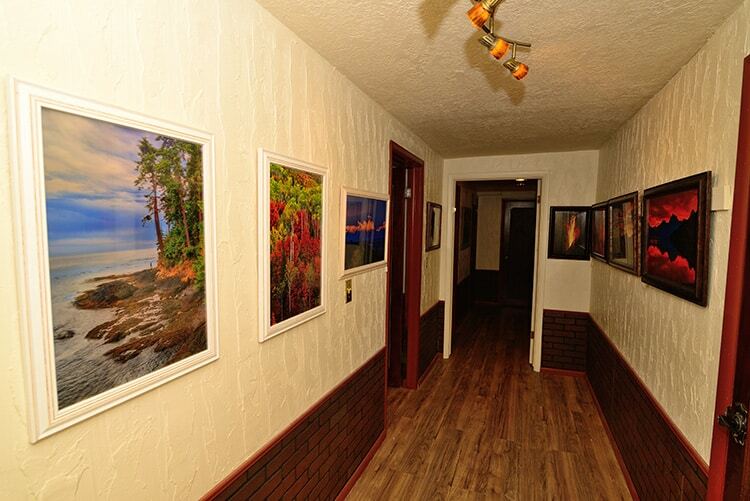 Meanwhile the Norrell Gallery of Photographic Art has been in downtown Idaho Fall for years. We loved the spot, but the building was old and in the winter snow would accumulate on the roof. When the temperatures warmed significantly, the roof would leak. I would have to race to the gallery if the temperature got too much above freezing and move pictures to a dry spot. That was less than ideal. So while rebuilding the studio space, I decided to combine the art gallery with the portrait studio. It’s now complete (although I want to do some exterior improvements soon). Have a look at the new gallery and studio space! Also, since I got some nice new tools to do the work, I’ve now begun building custom frames. Come and check out the new space and new art! This is just miraculous!!! I have never seen such an amazing renovation done on any kind of space to this magnitude and perfection! Such a beautiful space!!! I hope everyone will have the opportunity and desire to come see these amazing talents! I couldn’t resist commenting. Exceptional work. Well done!